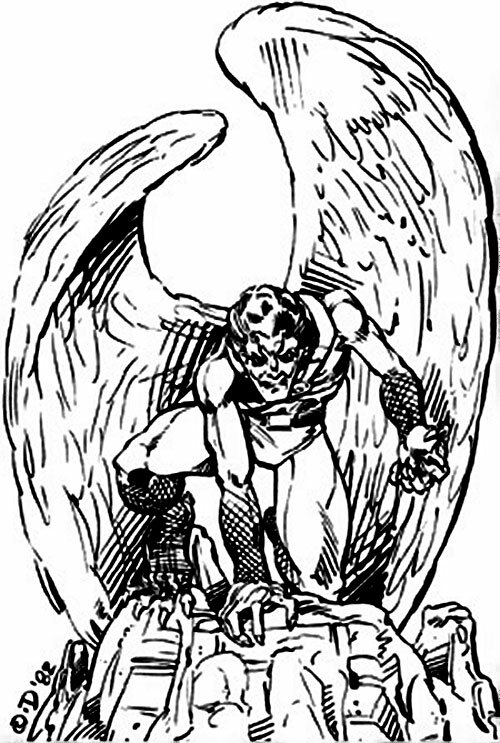 *This* Vulture is from the best-known adventure scenario for the Villains & Vigilantes tabletop RPG. V&V was one of the classic, old-school super-hero RPGs from the 1980s. Height: 5’7” Weight: 160 lbs. Vulture flies very fast and has powerful talons on both his hands and feet. While fast and vicious he’s physically weak. His preferred tactic would be to grab an opponent and let him fall after flying for a few Phases. “Would”, since he can only lift about 130lbs, being in the low spectrum of STR 02. 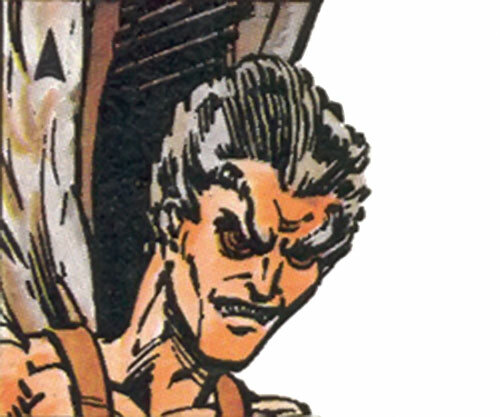 He compensates by fighting viciously and burning Hero Points . Victor Thruttle was a simple lab technician until he was tricked into volunteering for heinous experiments. These turned him into a man-bird chimera and damaged his mind. Now an anguished monster, he fled and turned to crime in order to sustain himself outside normal society. A savage madman with little loyalty toward anything. Oblivious, Minor Rage, Distinct Appearance. 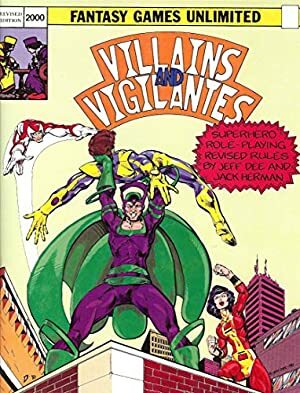 Source of Character: Villains & Vigilantes RPG.